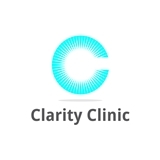 Clarity Clinic (Chicago) - Book Appointment Online! Making the decision to seek psychiatric and/or counseling services can be difficult and also worthwhile. The welcoming staff at Clarity Clinic is ready to pair you and your loved ones with skilled and supportive professionals that will empower you to reach your personal goals as well as a balanced lifestyle. My visit with Dr Rao was very productive. I felt much better after our session, and am looking forward to the next visit. My appointment went really great. I felt understood. Additionally, he was able to notice a mood and behavior change that I didn’t really notice myself. He’s very observant. She was extremely kind and understanding and I felt comfortable even during my very first visit. Offices are clean and organized. Jenna is genuine and caring with a great memory of past sessions. Her perspective is incredibly helpful. I understand why some people were not happy with their experience. I filled out a bunch of surveys and forms and when I sat down with the doctor he immediately told me what I had. No he did not listen to me very well, just asked me questions and did jump in on things I was saying. I'm not sure I was diagnosed correctly but the medications and therapy he has prescribed do seem to help. He does seem to care and is a nice guy, don't expect to be there more than 20 minutes.